Governor Palin’s interview with ABC’s Robin Roberts aired on “Good Morning America” this morning. Like Barbara Walters, Roberts couldn’t resist introducing Governor Palin with a barb: “Polls show her far behind Barack Obama should she decideto run in 2012.” Wishful thinking, I’d say. She didn’t name the lamestream media sources of the polls, which would have revealed their inherent bias. She also didn’t consider that it is people’s ballots that get Presidents elected, not easily manipulated polls. Of course, the lamestream media worked hard to manipulate the last election. 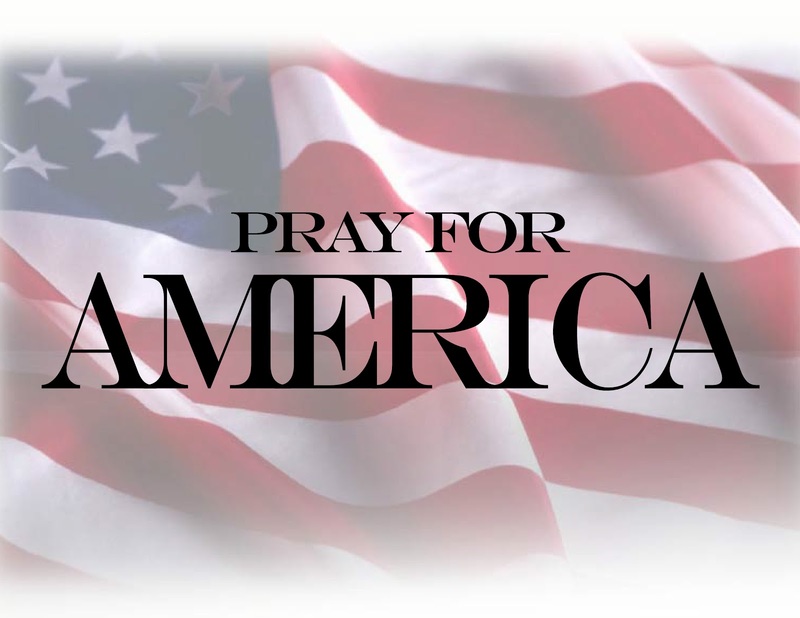 However, the American people will be a lot wiser going into 2012. In an exclusive interview with “Good Morning America” co-anchor Robin Roberts, Sarah Palin said she doesn’t support the “lousy” tax deal brokered by President Obama and Republican lawmakers and instead wants to see a permanent extension of the tax cuts. “I think it’s a lousy deal and we can do better for the American people,” Palin said in an interview at her home in Wasilla, Alaska. The former Alaska governor, however, praised Obama for “flip flopping” on his original promise not to extend tax cuts for those making more than $250,000 per year. “I would say that it is a flip flop in his position on taxes because he was so adamant about not allowing the tax cut extension to take place for job creators, and then all of a sudden one day he was fine with it,” Palin told Roberts. Echoing discontent by the Tea Party, Palin blasted the estate tax component of the deal. The estate tax, which currently is zero, will be set at 35 percent for two years, with a $5 million floor. Had the tax cuts expired, the estate tax would have been 53 percent starting next year. The former GOP vice presidential candidate told Roberts that the inspiration for her book came from Americans and love for her country. Newsbusters has posted the transcript of the segment above here. 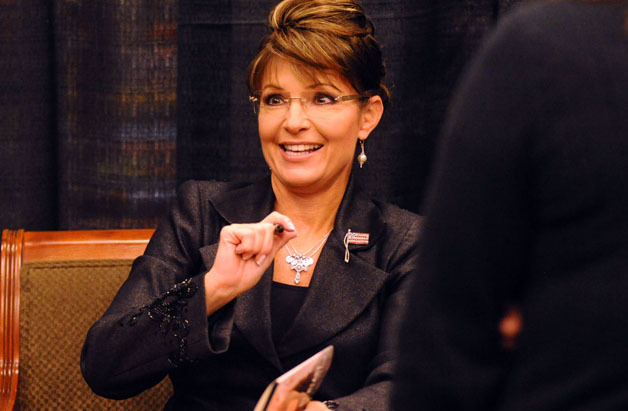 Sarah Palin: Intellectual, Airhead or Lightweight? The Left and even some GOP Establishment types want you to think that Palin is not substantive on policy issues. They claim she is an airhead at worst or a lightweight at best because she’s not an intellectual. Yet when you do your own research, you find she is extremely in-depth and is in fact giving us some serious insight into specifics about her policy positions and how she would govern as president. Forget the garbage you read in the mainstream media or see on TV and look past that to find the real Sarah Palin. Don’t even listen to Charles Krauthammer on this one even though he is usually right on policy issues. Sarah Palin has been rolling out extremely insightful policy positions since leaving the governorship in Alaska. Watch how this prospective 2012 presidential candidate communicates her ideas through her own writing and in interviews she has been giving to non-Fox related outlets. You are seeing the unveiling of the plan for what she would do if elected president in 2012. Palin continued unveiling more policy today in the Wall Street Journal where she addressed the tax code and entitlements in a pretty convincing way. She is planning trips overseas to build up her foreign policy credentials. She spoke in Hong Kong about a year ago. She was in Haiti this weekend. And, word is, she has plans to visit the UK and Israel in the coming year. She is Reaganesque in her foreign policy. She believes in a strong military, not coddling adversaries (“we win, you lose”) and working with allies toward crafting good international agreements. She has recently criticized the START Treaty. Since 2008, Palin has been a naturally intelligent and evolving candidate who carefully studies the issues. These traits are not new to her. She has given her intellectual time to issues confronting Alaska while governor. Although criticized for being shaky on foreign policy issues when selected as McCain’s running mate, the fact of the matter is Palin could have explained in mind numbing detail ACES or the TransContinental AGIA natural gas pipeline because that’s what she was doing at the time. And because she was nose deep into those issues, it’s understandable that she would not have been reading volumes on the Bush Doctrine on Alaska state time. Palin stays on focus and worked on state issues when she was governor just as she is working on national issues now that she is a political activist and potential presidential candidate. Don’t pay attention to the left hand as it distracts you from the reality of what Sarah Palin is actually doing on the right. They want you to believe she’s not up on policy. But it is, in fact, the exact opposite. Because the media has created such a picture of Palin that is so out of touch with reality, it may sound funny when trying to describe her as a policy wonk. But she is; and therein lies their “misunderestimation” of her. And therein lies the challenge for Palin supporters to convince people that Sarah Palin is more up to the job than anyone else in America right now. It is a two part challenge. In order to make the case about Palin’s substance, you have to first overcome the subliminal hypnotism of America that has been perpetuated by a media that has been complicit and incestuous with the Left. For over two years, they have been pounding the American psyche with hatred for her heavily peppered with contempt and outright lies. They put out hit stories which they later retract after readers have long left the scene of the journalistic crime. Josh Painter at Texas For Sarah Palin gets a big hat tip for picking up on an article written by “the blogger who writes using the pen name of weholdthesetruths” at HubPages. The piece is titled Why Palin Makes Liberals Nuts. Having observed what the pop culture and the media had done to Sarah Palin during and since the 2008 campaign, it is apparent that the liberals are playing by a set of rules on a board that they now own. “We won,” the president told members of Congress shortly after his inauguration. For decades, conservatives were a silent majority. Never ones to get their hands dirty, they silently rejected the politics of personal destruction and shied away from the pop culture which they saw as being in conflict with the values they were trying to pass down to their children. Suddenly, conservatives found themselves in a street fight, having to resort to tactics they once disdained simply for the sake of survival. They attacked personally, the conservatives, by making Palin the proxy, and conservatives, for the first time, didn’t roll over and die. Nor did Palin. Instead, the more they throw at her, the more she generates support for herself and the ideology attacked by proxy. They also realized that they couldn’t sit on the sidelines and watch the pop culture run roughshod over the values of the country. They learned from the lessons of the 1950s and 1960s that by complaining about the music and the movies that they were being the negative ones. The moral majority was stigmatized by the Left as being intolerant, self righteous and judgmental. Well, the kettle calls itself black now as they have become the intolerant, self righteous and judgment ones. And in response, the conservatives became positive and engaging. And who better to lead this movement than a badass from Wasilla Alaska who is willing to take on the hate mongers and the hostile press? Who better than her to show us that if you engage the opponents at their own game and beat them at it that you could take the board back and put the grown ups back in charge. If there was ever a time for conservatives to get their hands dirty underneath the hood of the American car, it’s now. And because of that, the grown ups may someday emerge from the childishness of vitriol, liberal lies and an unwillingness of many to confront the fact that the Constitution is not an outdated document and conservatism is not an outmoded dogma. What more of a lightning rod could Palin be, than to subvert media and celebrity to campaign for conservatism? You could not possibly be more “in your face” than to use the very tools and venues of progressivism to promote conservatism. Palin’s not dumb. Not ignorant. She is the child of two passionate teachers. She knows more about biology and physics and math and history and geography and the list goes on, than the vast majority. She knows her place and our place in history. And she knows where we, Americans came from. And that exceptionally bright “city upon a hill” and “beacon of liberty” to the world. That’s the kind of teaching that real teachers taught. It may be “ignorance” as defined by progressives. But it’s the wisdom of age, time, and history. And just when they believed the battle to overcome history and wisdom was won, along came the most unlikely hockey mom from a dusty and un-sophisticated town, in the most primitive state, championing the most unprogressive ideas, and in doing so, taking that victory and flushing it down the toilet. Instead, the TEA Party showed up. It’s the worst nightmare of the intellectual, the elite, the progressives. Thank God. I thought for a while the darkness would win. We had forgotten that even a hockey mom from Wasilla can beat back the darkness. We fear it no more. Governor Palin talked to Bill O’Reilly on The Factor last night about her new book and her TV series and their potential effects on her political career. Below is the transcript of their interview. Notice that Governor Palin doesn’t allow O’Reilly to interrupt her in mid-sentence anymore. There are at least two places where she goes right on to finish her sentence. Good job, Gov! BILL O’REILLY, HOST: In the “Personal Story” segment tonight: As you may know, Sarah Palin has a hit TV show on cable and another best-selling book called “America by Heart,” where she talks about her vision of what the country should be. But some say all of that stuff may be hurting her in the political arena. Joining us now from Alaska is Governor Palin. You know, Charles Krauthammer, he’s a smart guy. Even Clinton said that. Bill Clinton said he was a smart guy. We’re talking to him about possible GOP contenders for president in 2012. Of course, your name came up. And he said, look, he’s not quite convinced that the outside activities that you’re engaging in would help you if you decide to run for president. Does Krauthammer have a point? SARAH PALIN, FORMER GOVERNOR OF ALASKA: Well, bless his heart, he’s probably used to those in the political Beltway who perhaps aren’t out there working, but they’re talking and they’re meeting people and they’re doing their strategery, whereas I’m working and I’m having a great time doing it. It’s been a pleasure to bring Americans along for the ride to show them what America’s Fort Knox, this land that we call Alaska has to offer and to film eight episodes to show Americans what it is that we do. O’REILLY: Well, we’ll get to the book. We’ll get to the book in a minute. PALIN: …and how important it is to protect it. So I don’t think there’s anything non-presidential about writing the book. O’REILLY: OK, we’ll get to the book in a moment. The television show, you’re out there and you’re presenting your state in a very positive way. And it’s — you know, very entertaining program. Big hit for TLC. But how does that, in your mind, help you in the political arena, or does it? O’REILLY: OK, so you’re promoting — you’re promoting the state that you love. PALIN: And even more importantly, promoting domestic resources that we have in America that can be tapped into to allow us to be more secure, healthier, more prosperous. 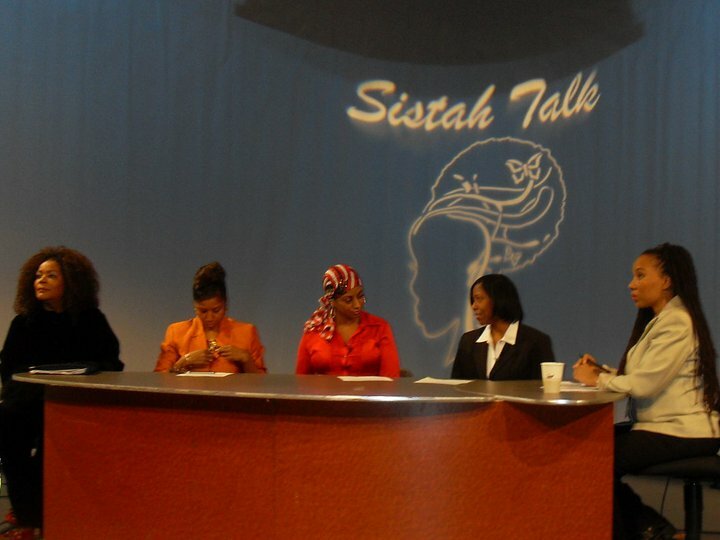 A lot of the show has to do with the resources that we have that need to be developed. O’REILLY: OK. Now, Kate Gosselin and you, she’s whining that she’s hungry and she saw a turtle or something. I don’t know what she’s doing. And — but, see, is that presidential, you and Kate Gosselin in the forest? People would say, you know, look, it doesn’t elevate the governor, the former governor of Alaska. And you would say? PALIN: I’m sorry that I’m not so hoity-toity. And you know, I don’t do this before I make a statement or endorse a person or portray reality up here in Alaskan life. I don’t do that. O’REILLY: Did you make fun of her, by the way? When the cameras were off, did you mock Ms. Gosselin and did you make fun of her? PALIN: No, but that episode certainly reflected a life lesson that I’m a believer in. And that is life is 10 percent circumstances, 90 percent how you react to circumstances. I think that was illustrated in that episode. O’REILLY: All right. So you wouldn’t appoint her, Gosselin, to a cabinet position if you were in Washington or anything, would you? PALIN: What do you think? O’REILLY: I’m just giving you a little jazz, governor. You know how I am, how immature I am. PALIN: I know how you are, yes. I need you to come up here. We’ll take you out camping and hiking and hunting. O’REILLY: I’m coming. I’m coming next summer. I’m coming in the summer. Absolutely. I’m a tough guy. I’ll be out there and I’ll be skinning those moose or whatever you guys do. Now your book, I enjoyed the book, because it’s, you know, you can hear you talking on the pages. So chapter five is the rise of mama grizzlies, OK? And you’re very famous for that expression. Can a liberal woman be a mama grizzly? O’REILLY: So it would be hard then? PALIN: …to everything that we face. It’s all about individuals. It’s about family. It’s about small community. It’s about individual responsibility. O’REILLY: OK, so it would be hard for a liberal woman who believes in a collective responsibility to elevate everyone — that’s the liberal philosophy — to be a mama grizzly, because you’re basically saying, look, the real mama grizzlies teach their kids self-reliance, to not, you know, go into the big government and share the wealth, share the land type of thing. So it would be hard for a liberal woman to be a mama grizzly? PALIN: It would be hard, yes. O’REILLY: OK. Also, in the book, you concentrate on the feminist angle. And you say that you are a feminist, but you resent the fact that that label has been co-opted by the left. Want to explain that a little bit? PALIN: I think there’s a lot of hypocrisy with women’s rights groups and those who proclaim to be the only ones who can wear that mantel, that title of feminist. I think that they are, in some cases, hypocrites, and they do not empower women. In fact, they make women sometimes feel weak and incapable of taking care of themselves and their families, because so often these feminists think that bigger government needs to provide the tools, the — everything that we need in order to survive and thrive in this country. I don’t believe that. I believe it’s all about a person’s character and their work ethic and how they choose to take care of themselves and their family. That is how we all can make for a better nation as we all do that. And I think that too many feminists today have decided, and I think it’s been the case since the ’60s and the ’70s, they have decided that women need someone to take care of them. That’s the most hypocritical feminist mantra that there can be. O’REILLY: Why do you say you’re a feminist? PALIN: Because I am self-reliant and quite independent. And I’m lucky to have been brought up in a family where, really, gender hasn’t been an issue. And brought up in a community and a state where you’re expected, the women are, to work as hard as the men are and even engage in the same type of jobs that they are. And it is all about your work ethic and your character. That is what will progress you. It’s not going to be reliant on government to do so. O’REILLY: You made it on your own. You absolutely made it on your own. So if I come up there next summer, and you take us out, I want Van Susteren to come out there, too, all right? I want her to come out. And then you guys can take us out, and just give me a knife, and I’ll handle anything that comes at me. That’s all I need. Just give me a knife. Governor, Merry Christmas. Thanks for putting up with us, as always. Always fun to talk with you.